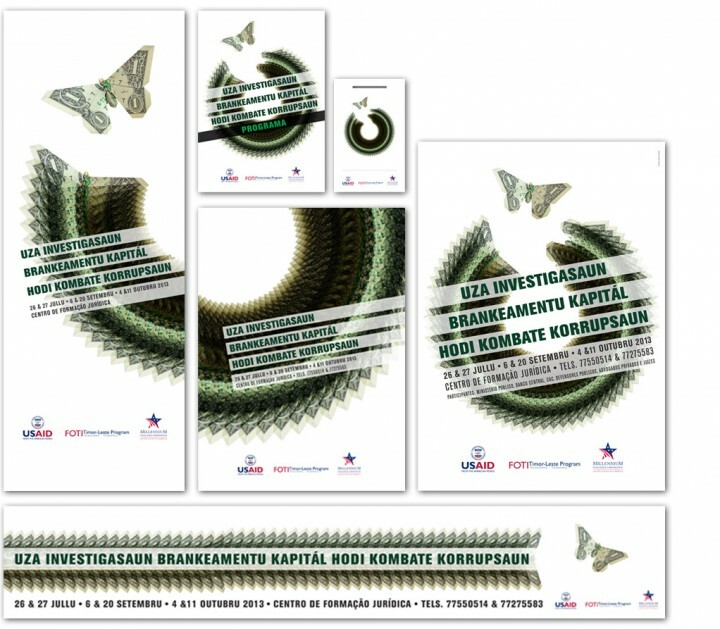 Uza Investigasaun Brankeamentu Kapitál hodi Kombate Korrupsaun (Using Money Laundering Investigation to Fight Corruption, in Tetun language) was a series of workshops for law professionals. David was commissioned to design a significant brand to be used as a campaign in several marketing items prior and during the workshops. Joven Eroi Foun (New Young Hero, in Tetun language) is a music CD containing ten songs especially commissioned to Mario Ramos de Carvalho (East Timorese musician) and dealing with subjects related to (anti)corruption. 2000 copies of the album were made available for free between 2013 and 2014.